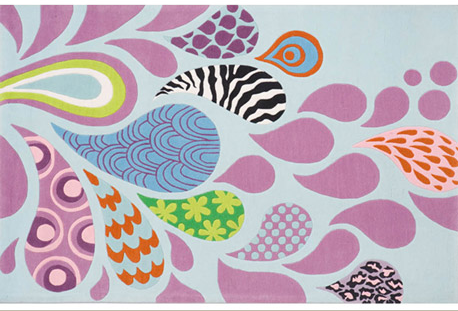 This “Lil Mo Mod” rug is available in all kinds of sizes. The 5’x7′ is a great deal for $199, reduced from $409. 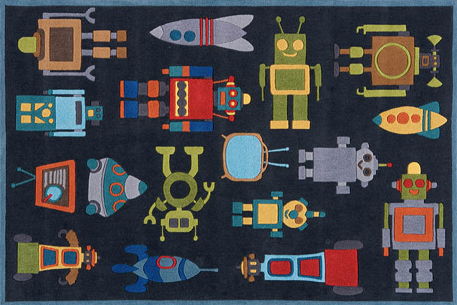 At the same price, you can get this “Lil Mo Robot” rug for the robot lover in your life (Personally, I know some grown-ups who might be very interested in this one). And as always, if you need a referral code or an invite (although I think you can sign up by yourself now), please email me at youngonesdesign@gmail.com .